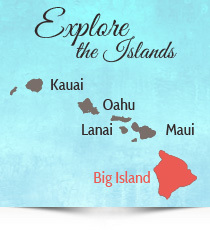 HawaiiGolfDeals’ mission far exceeds finding golf courses for you to enjoy at prices that bring a smile to your face. We also endeavor to make the game easier to play and enjoy. That’s why we’re pleased to welcome Chris Hunt’s BIG ISLAND GOLFWORKS Mobile Club Repair Trailer to our incredible roster of golf and travel-related businesses on The Big Island. Chris Hunt is a master Certified Clubmaker, who can perform any repair or alteration, and build one or several custom clubs for you and yours. With over 4,000 grips and hundreds of shafts in stock, Big Island GolfWorks not only does it all, but does it at a price that is virtually impossible to beat, in Hawaii or near your home. Why play golf in paradise with less than perfect equipment? Most of us play with worn grips, so how many of your clubs need regripping? Clubs look better and last longer when polished and buffed every couple of years. And who cannot benefit from a check of weight balance, as well as an adjustment of loft & lie? Most services can even be accomplished while you wait, have breakfast or lunch, or hit some balls and putt around the practice green. 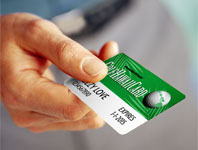 Best of all, GOLFHAWAIICARD subscribers receive an additional 20% off any parts and services beyond the initial value-driven pricing. And here’s a fantastic offer: Have Big Island GolfWorks regrip all your clubs (with 20% GHC discount) and receive a brand new installed putter grip absolutely free.